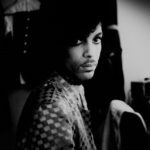 "A triptych that begins and ends with lyric poems considering the roles desire and race play in the construction of the self." ...a voyage requires both an origin and a destination, and so the eighteenth-century engraving and the twenty-first-century book operate as two shores in a trip from the lurid past, in which African women were transported to be sold into slavery as property, to the current day, when an African-American woman like Lewis can recast history in her own brilliant, troubling terms ... The sheer bulk of material that Lewis turned up in her research, and the relentlessness of the descriptions, suggests that the history of the black female body is inextricable from the institutions that claim ownership of its depictions; the subjugation is translated into symbolic terms but never undone ... [a] many-chambered and remarkable collection. Powerfully evocative ... Among the virtues of the collection is the intensity of Lewis’s faith in the power of language and image to tell us things that are true, but that are rarely said, about history, race, gender, power, the body, scholarship, and visual representation. 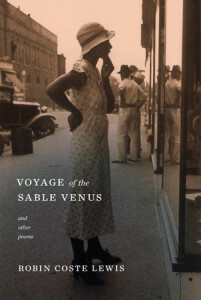 In providing us with a revelatory gloss on centuries of art, Robin Coste Lewis has made us aware of the enormity of the change reflected and perhaps partly brought about by contemporary black women artists whose vision, originality, and humor offer a heartening corrective to the ghastly insult of the Sable Venus. Ms. Lewis arranges this material with genuine technical ingenuity, until its incremental emotional force begins to make you feel you have an elephant lowering itself onto your chest ... In the lesser poems in this volume, Ms. Lewis’s language can turn gauzy. In one poem we read, for example: 'Pray/the stars/are all the feelings.' This kind of thing is rare in Voyage of the Sable Venus, however. More often, her poems land with defoliating force. What did you think of Voyage of the Sable Venus?